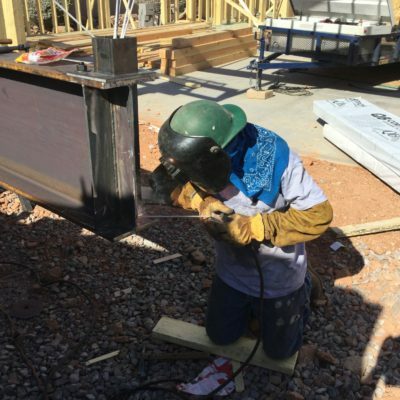 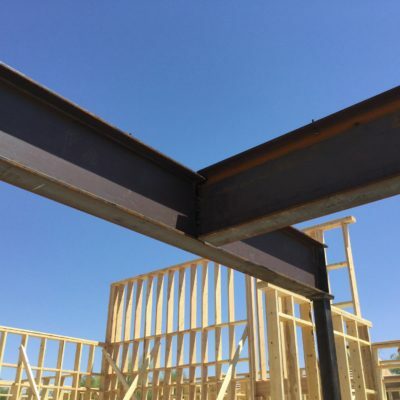 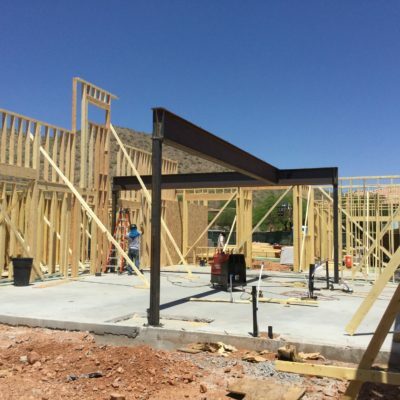 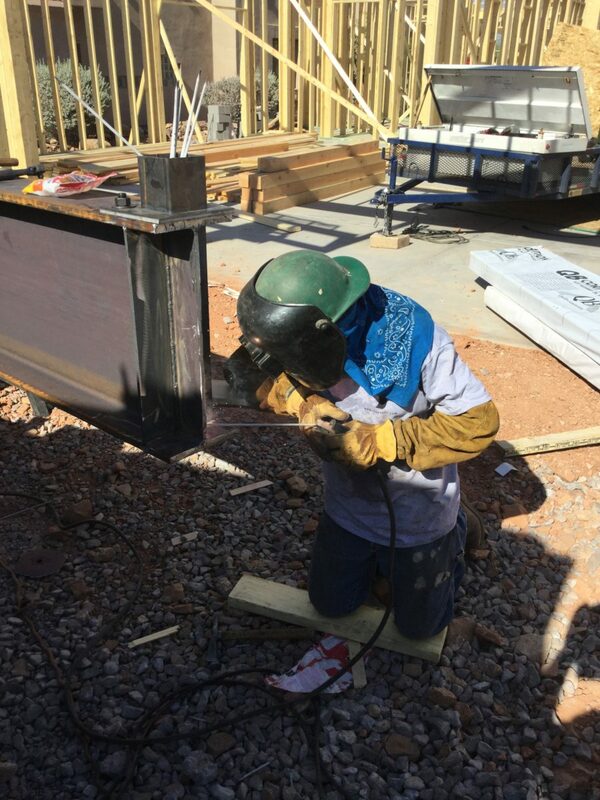 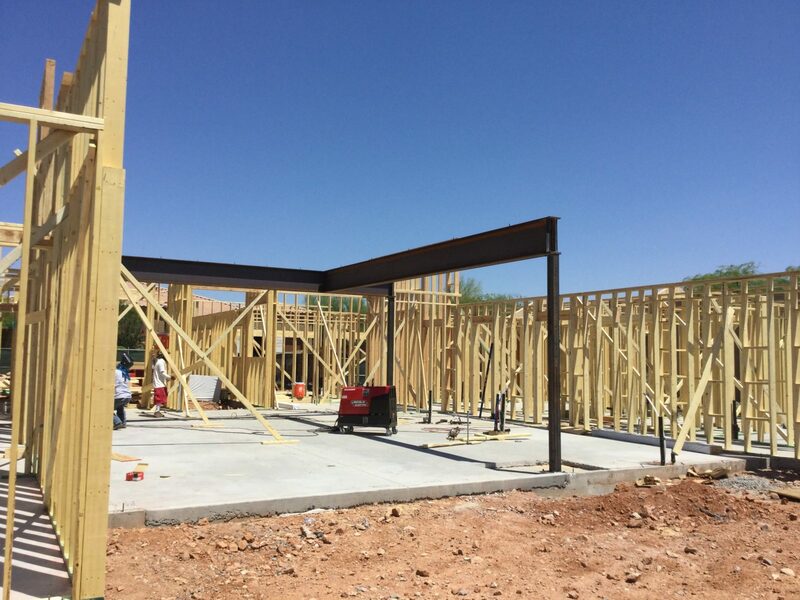 While RJ Russo specializes in commercial construction, we do occasionally enjoy the opportunity to work on residential projects. 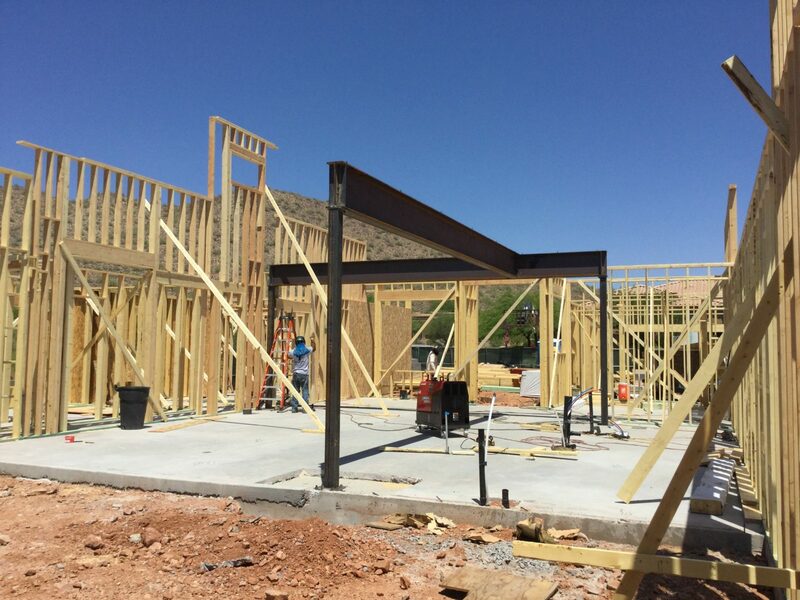 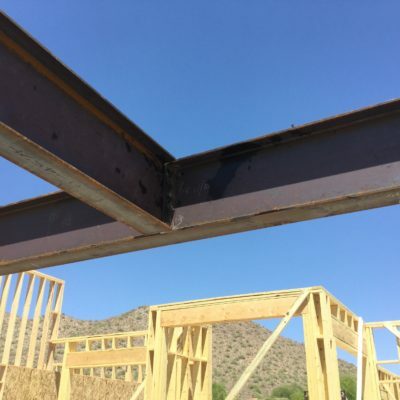 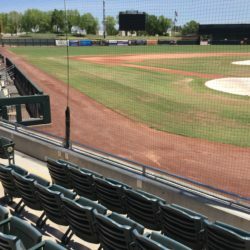 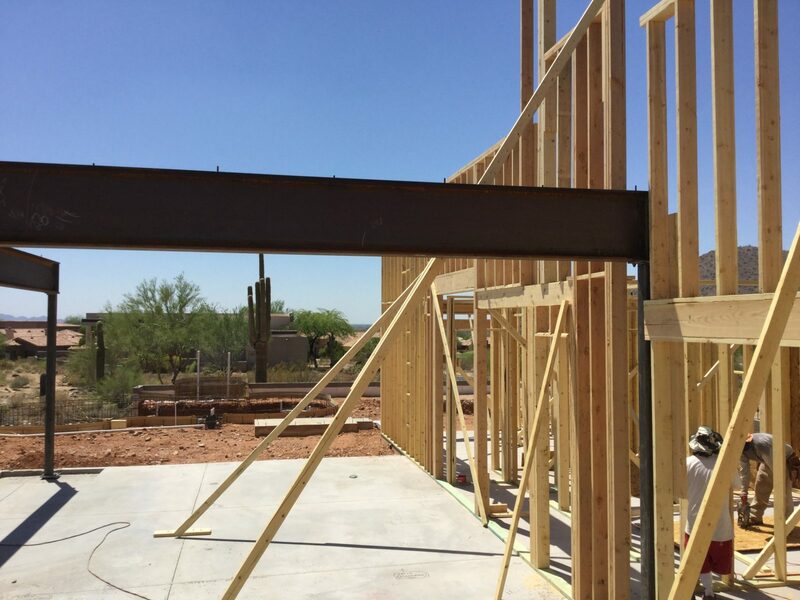 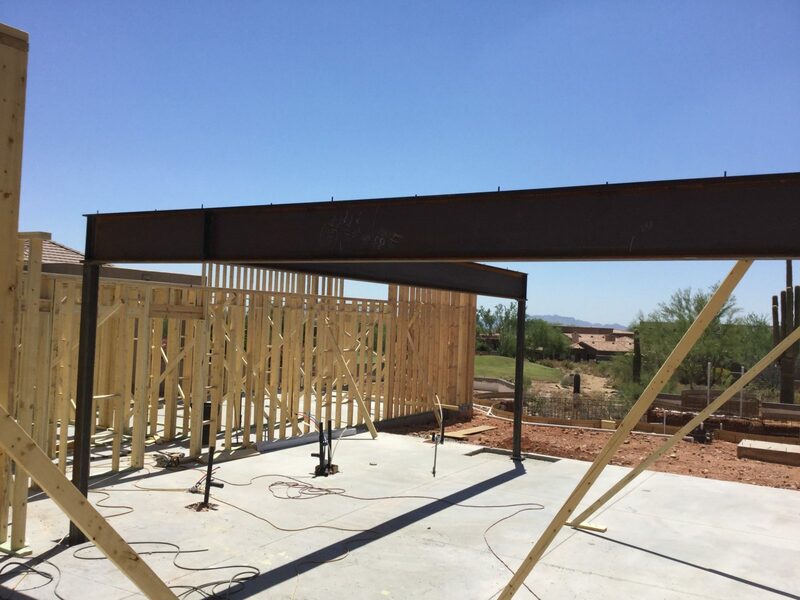 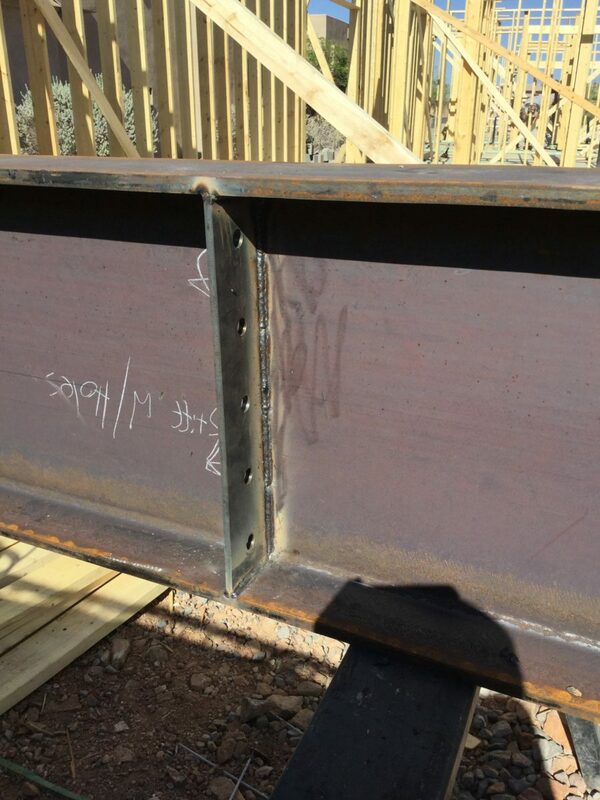 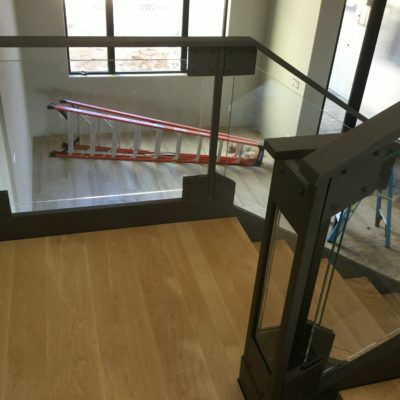 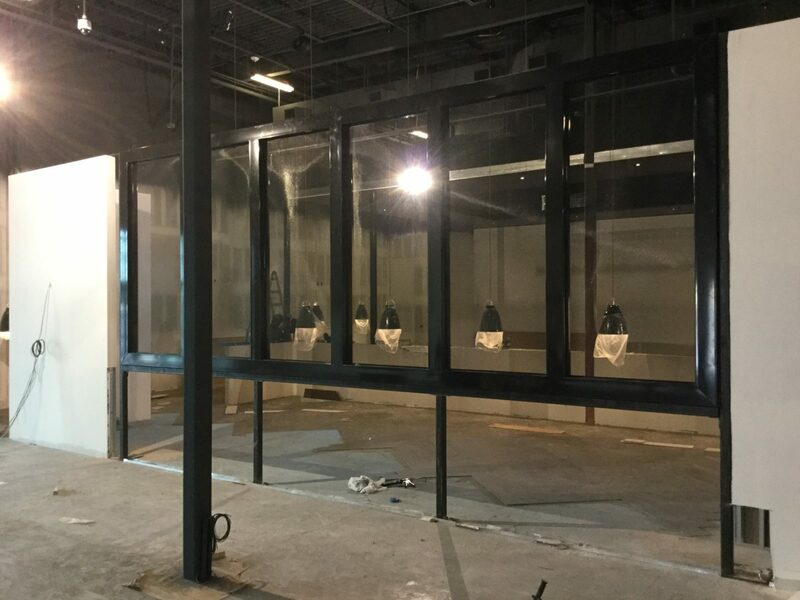 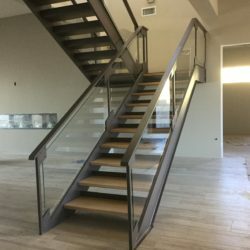 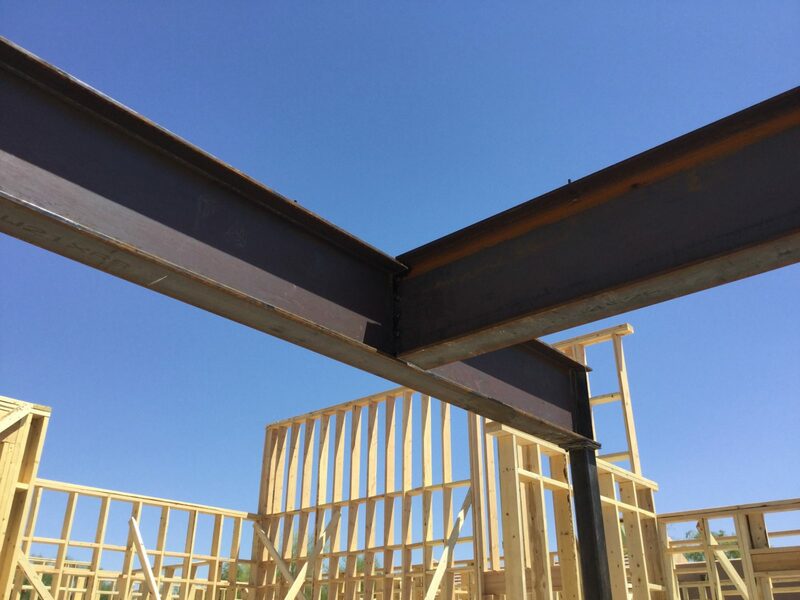 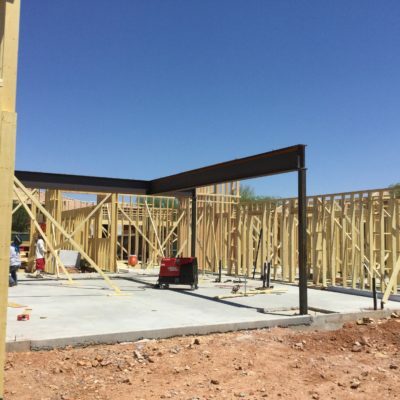 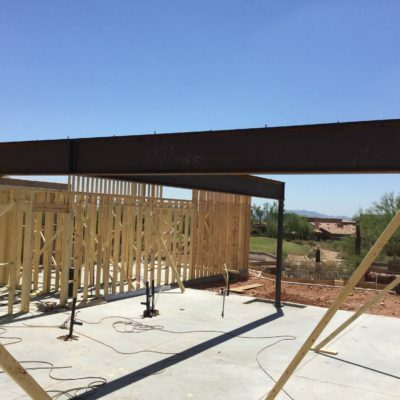 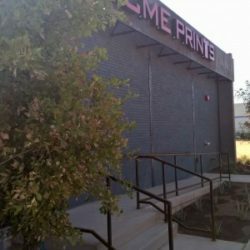 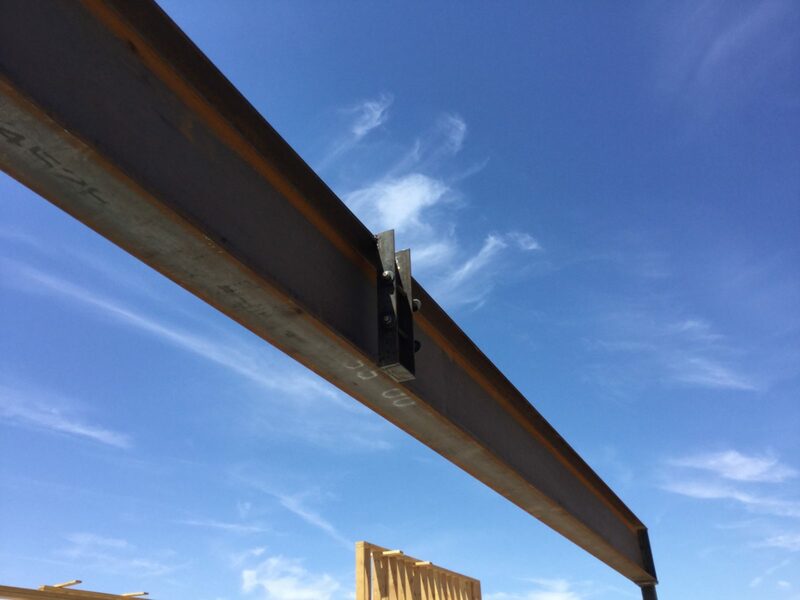 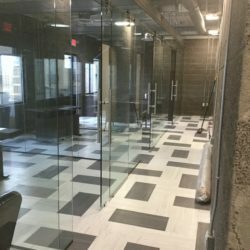 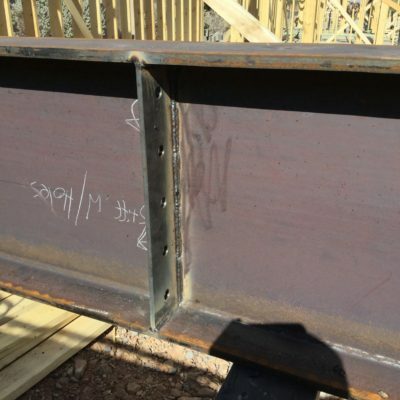 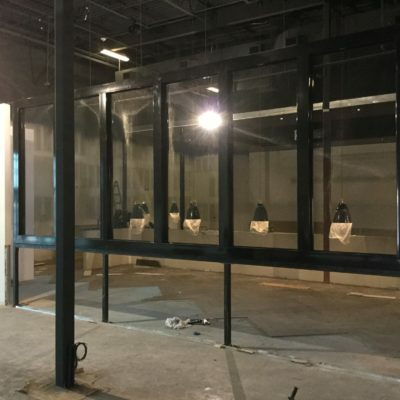 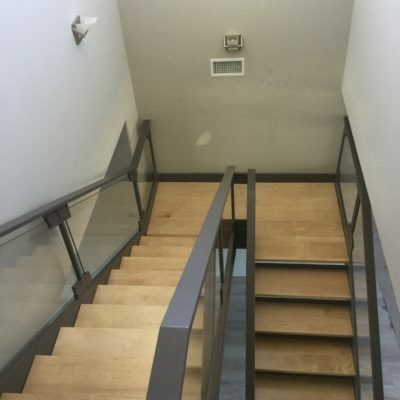 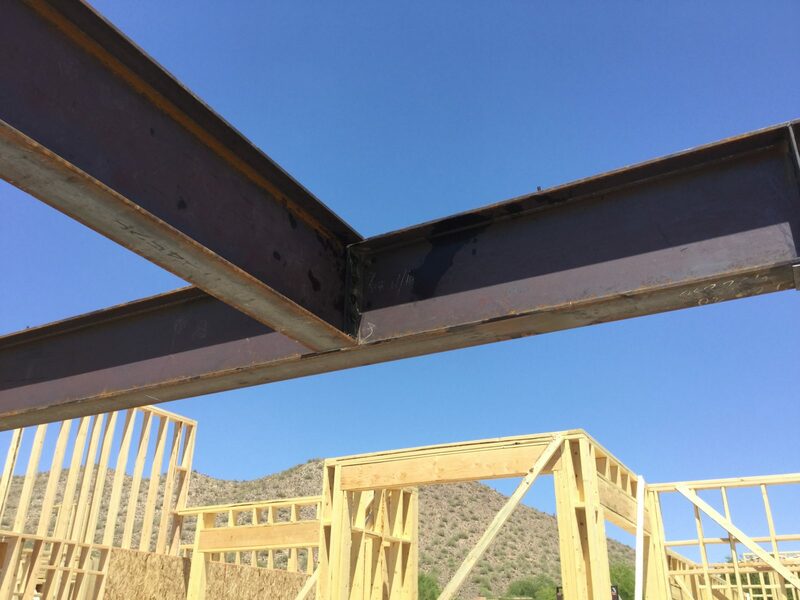 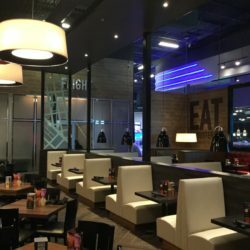 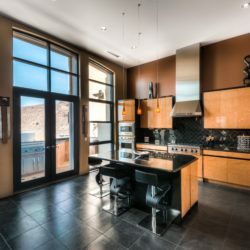 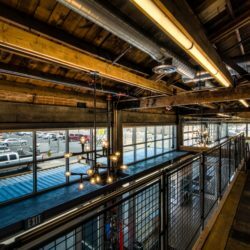 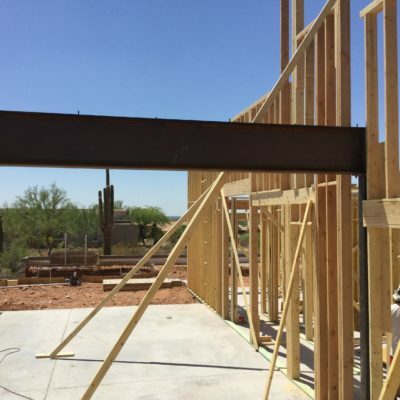 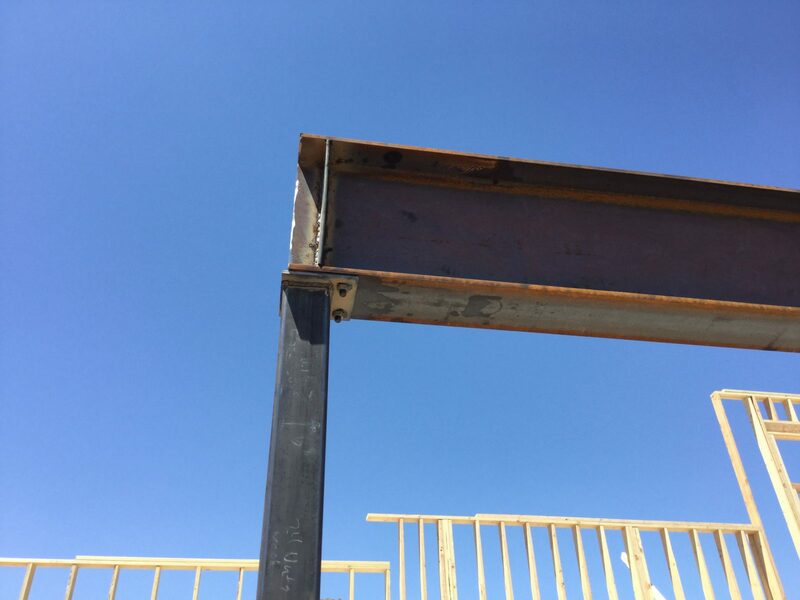 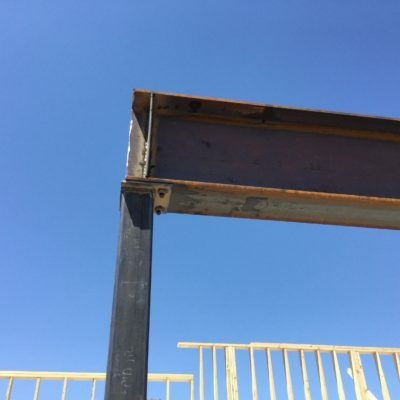 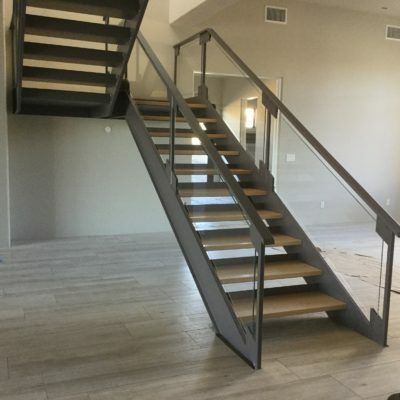 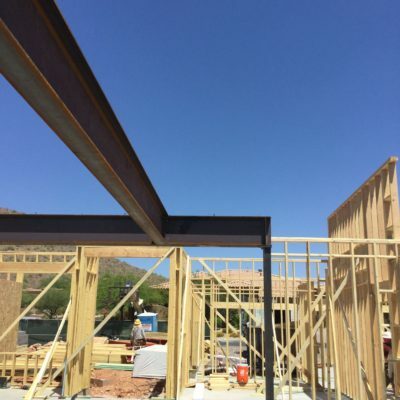 Working with Desert Peak Builders, and Carlson Glass, RJ Russo provided structural steel support as well as designed and fabricated a beautiful custom steel and glass interior staircase that meets safety and compliance codes. 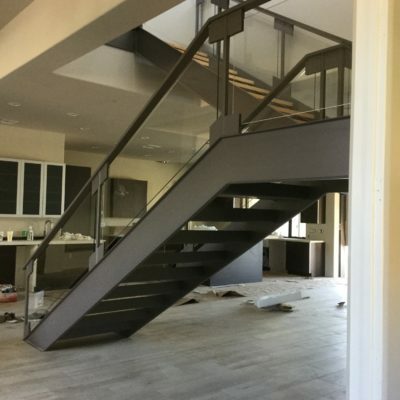 To keep with the open design aesthetic of this contemporary home, a concealed, structural steel framework was designed that would support the 2nd floor and the stairs. 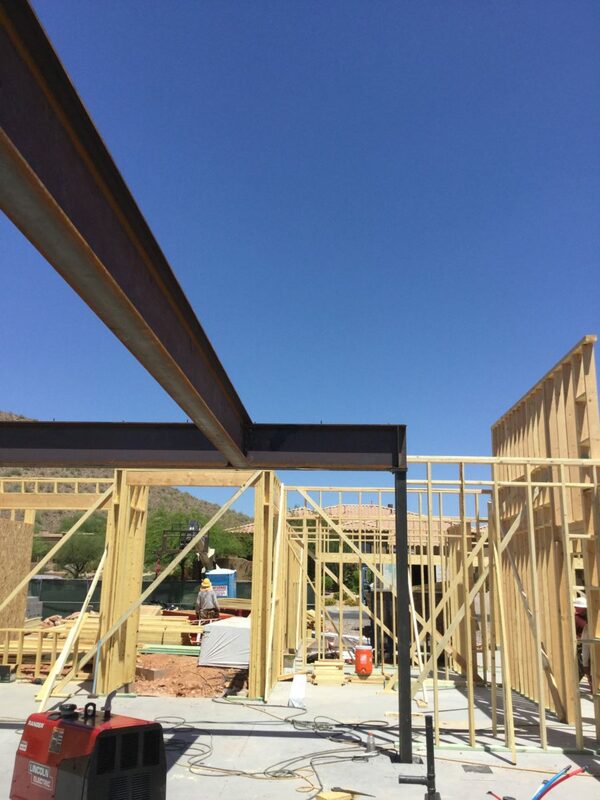 Because of the location of this hillside lot, cranes were not able to be utilized. 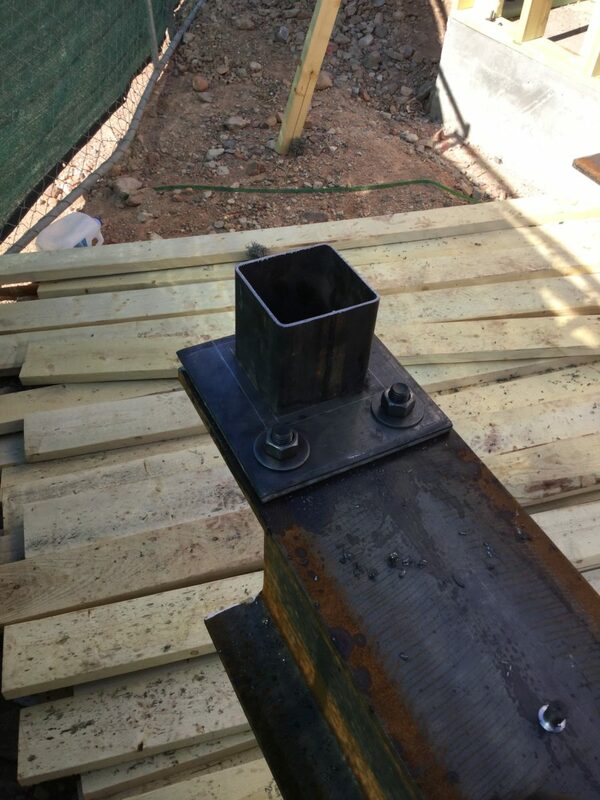 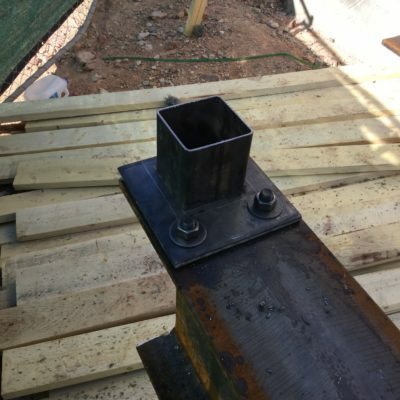 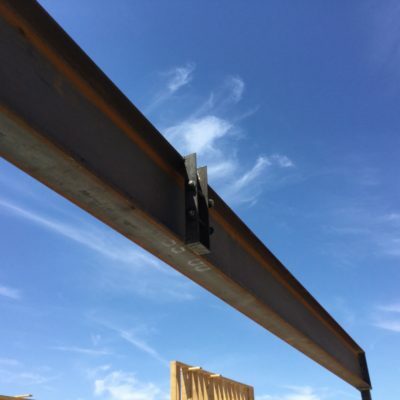 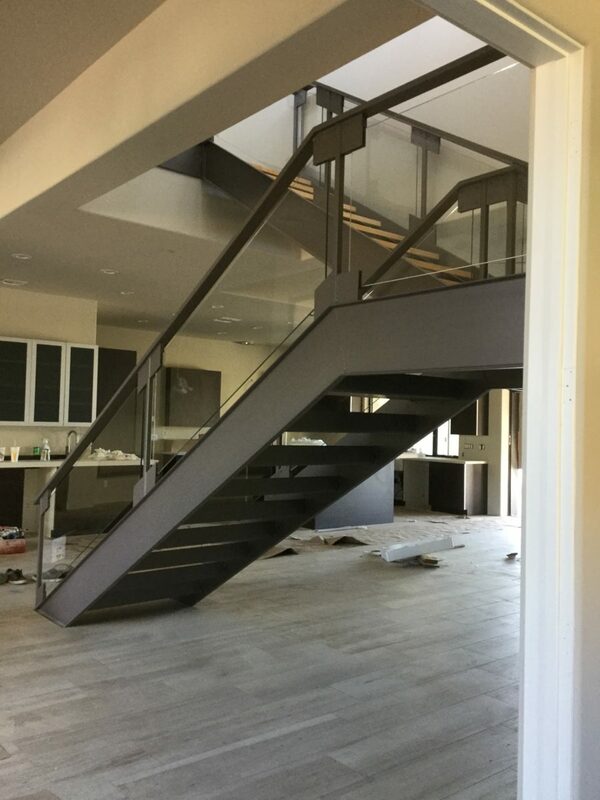 All steelwork was transported and installed with manual rigging systems for both the structural steel beams and the staircase build. 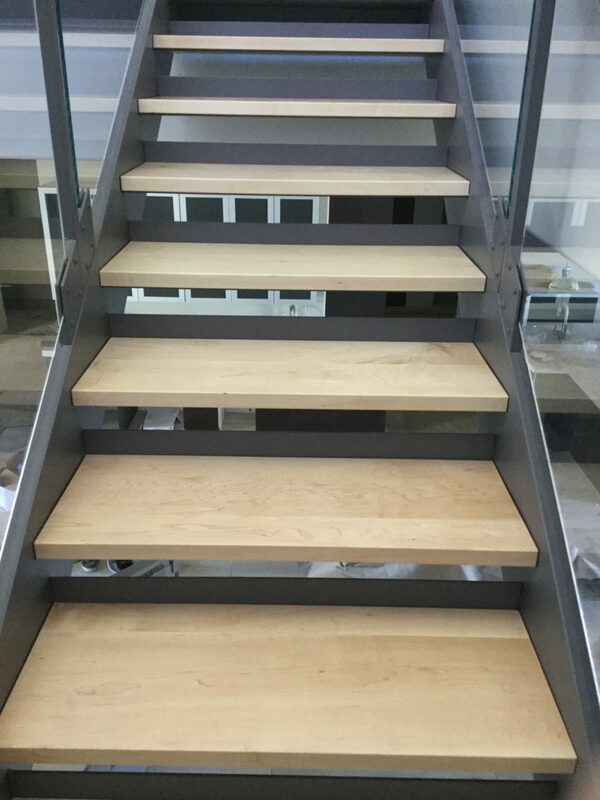 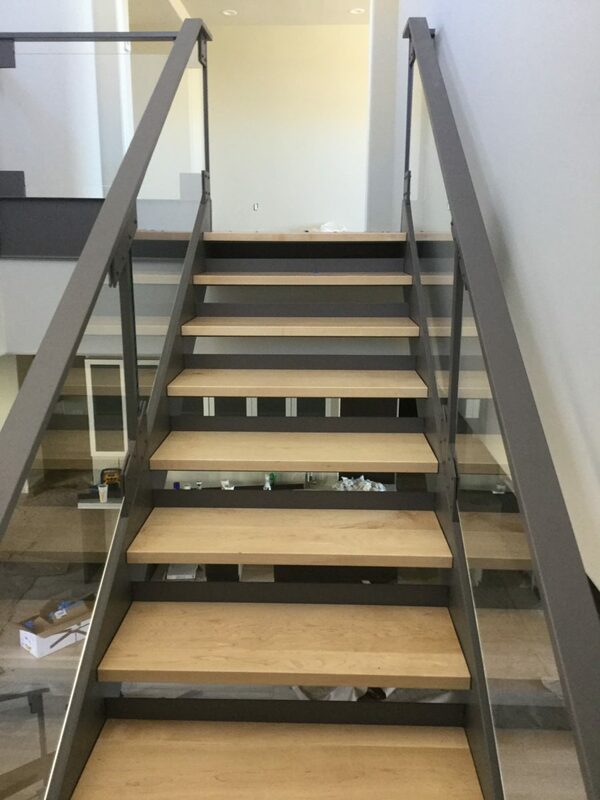 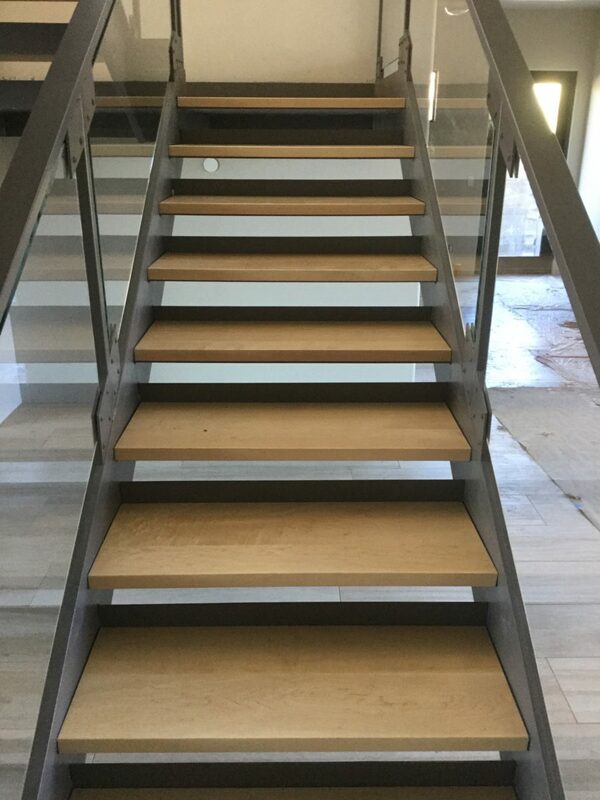 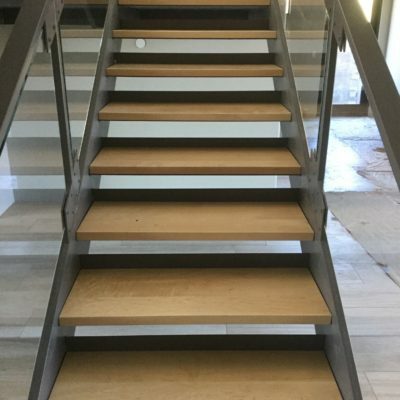 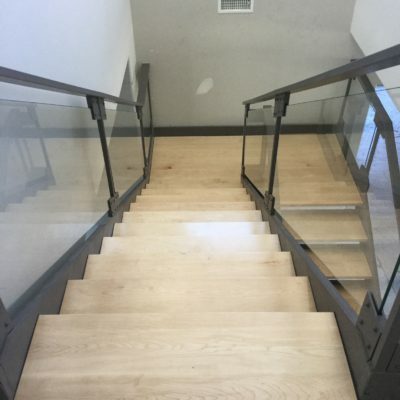 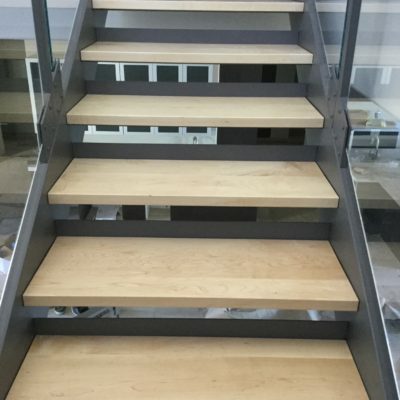 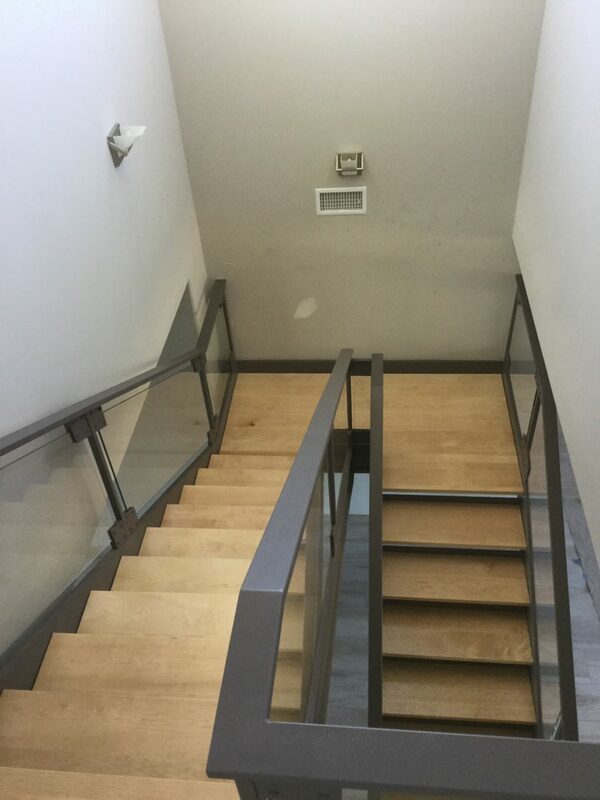 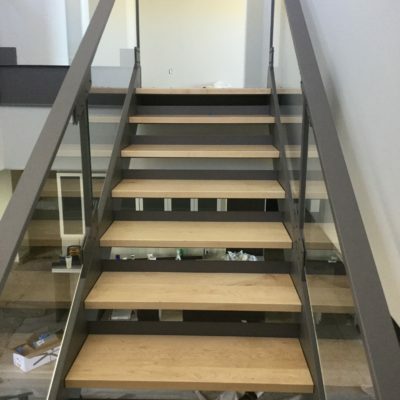 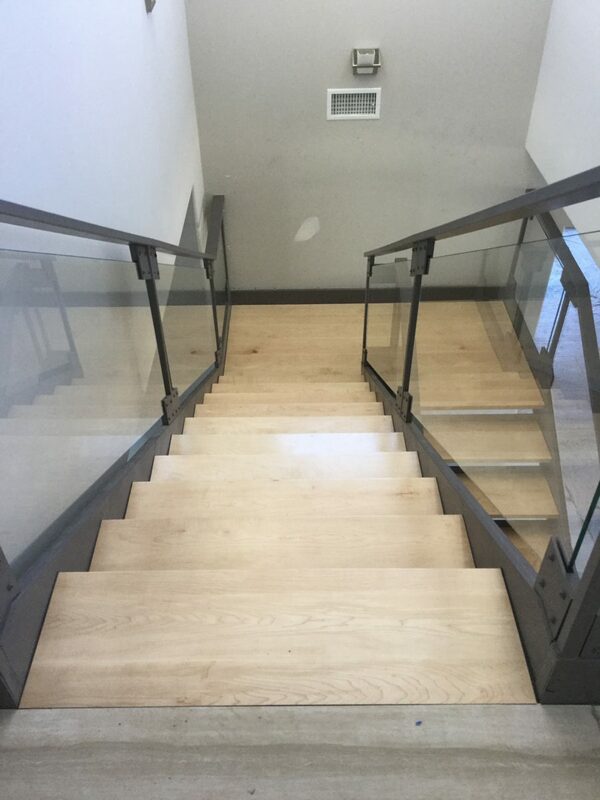 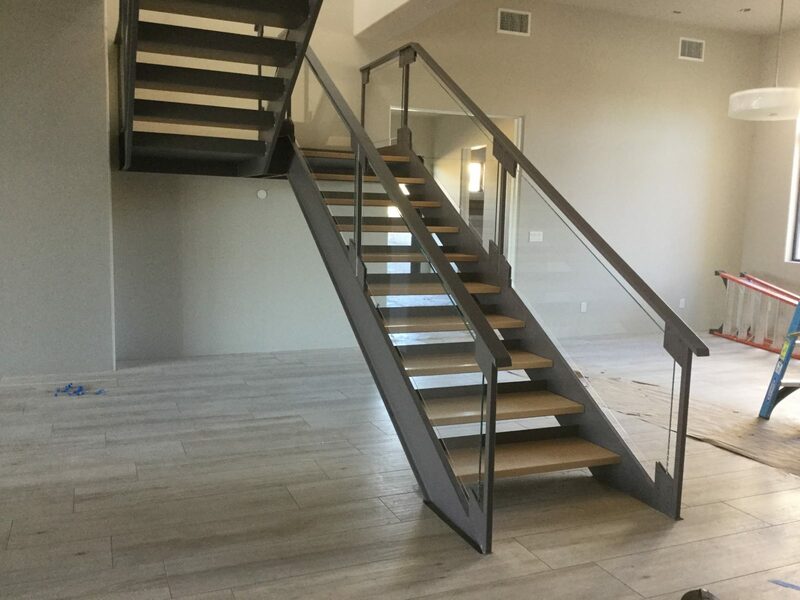 Made with a commercial grade C-channel support structure, 3/8” plate steel railing and maple wood tread, this sleek, modern staircase integrates into the contemporary design of this upscale custom home. 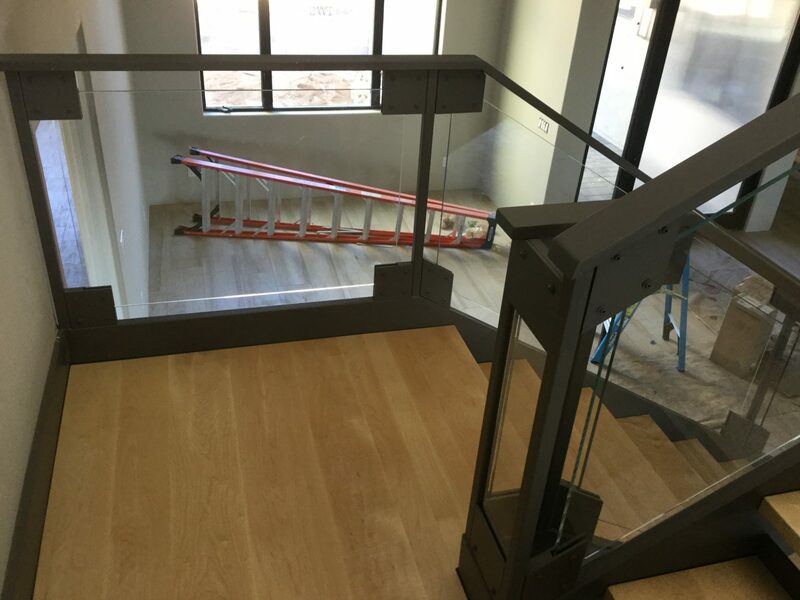 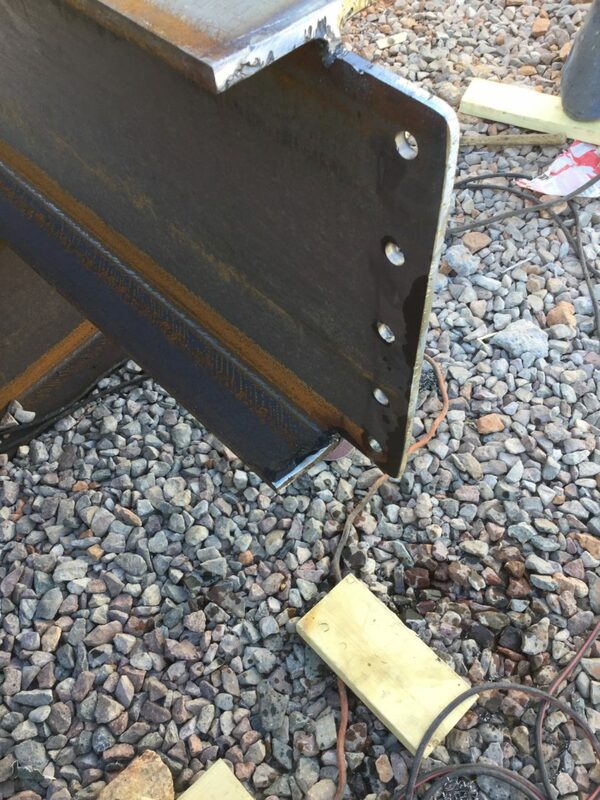 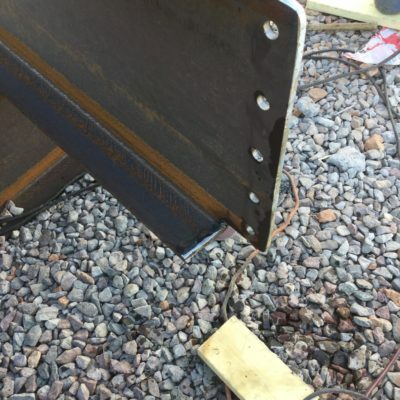 As part of the design challenge, RJ Russo constructed a specialized clamping system to both support and display the custom cut and tempered glass rail enclosure panels.